For nearly a year, WCCLS has been sharing online rhyme videos in hopes that we can connect parents and caregivers with some ultra-fun ideas for interacting with their kids while at the same time building pre-reader skills. We are constantly adding new rhyme videos. It is my intention to present a new video each and every Friday. We will begin today with a brand new video entitled "The Very Hungry Caterpillar"
This rhyme features a familiar "Itsy Bitsy Spider" cadence and introduces children to some fun vocabulary. This is a great way to build word and world knowledge. Pair this rhyme up with a reading of The Very Hungry Caterpillar by Eric Carle and take it a step further with a fun caterpillar craft or a mini-science lesson! 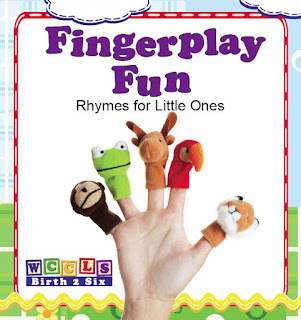 Folks are invited to visit their local Washington County library to pick up a free copy of our Fingerplay Fun rhyme booklet, which features many of the rhymes found on our website.